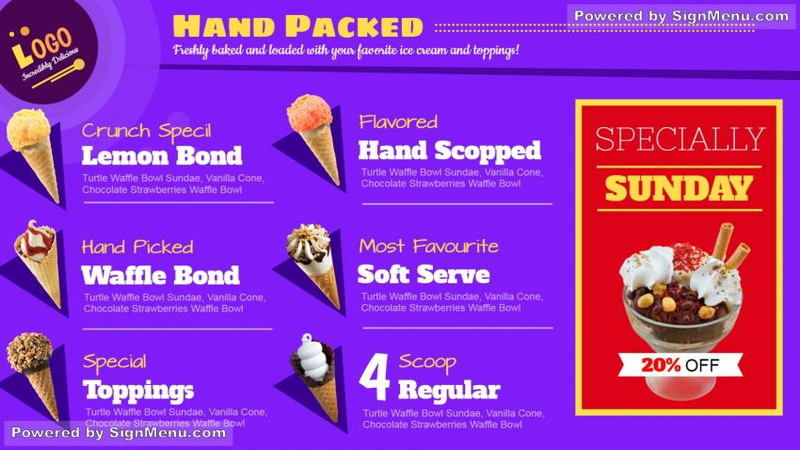 This hand packed ice cream menu signage board is simple yet effective. It is perfect for few items and is also easy to read and know the ice cream varieties. This easy to download ice cream menu board solution can be edited and used on tv with the help of pen-drive.